“We’re very excited to present this release – we’ve worked really hard on it! Starting off with our incredible label and part set for Siege Stascream, you need to see it to believe it! The feet are there too…. Decided to go ahead and pull the trigger on the Skylynx sets. 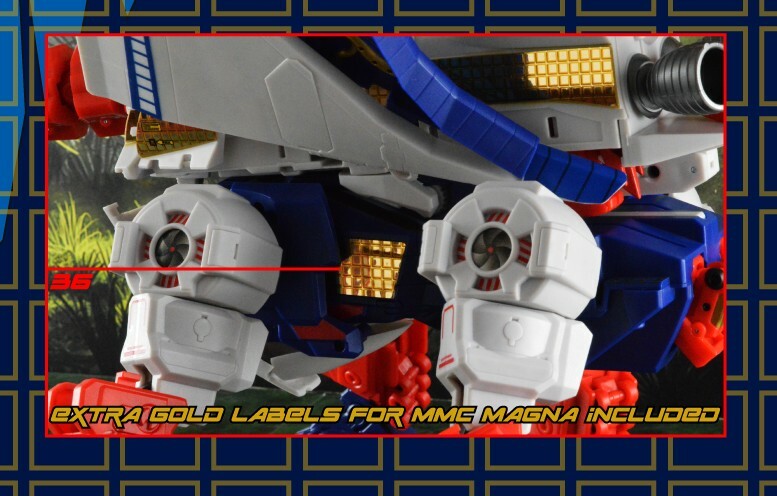 As much as I love Magna Inventa, he is pretty plain looking and the stickers should help with that. I'm also doing an experiment where I'm putting clear backed waterslide autobot symbols on gold foil tape – looks like the papery texture of the decal disrupts the shine of the gold a little but once it's dry I'll try shining it back up with future and see how it goes. If it goes well, I'll have gold symbols for his wings. 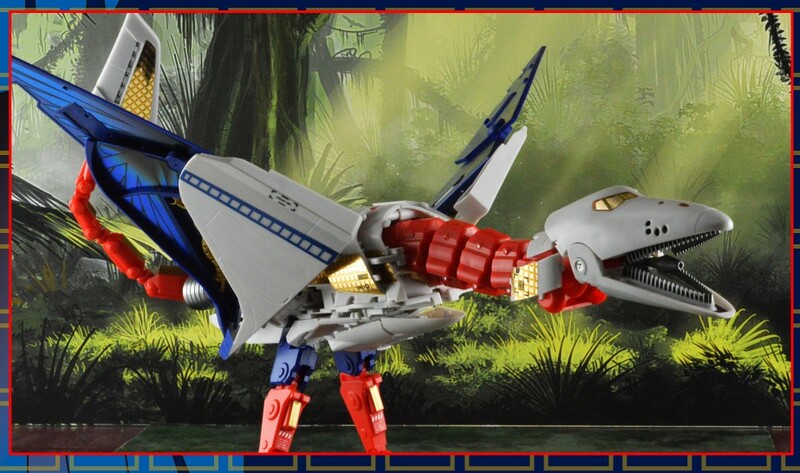 If not, I'll probably just get some of toyhax's gold backed symbols – they're not as shiny as I'd like but I can't justify paying for a G1 Skylynx repro set just to get the gold symbols. Yeah, after much scrutinizing, they're definitely flat stickers. Was curious because they have done raised stickers in the past – they have raised faction logos and their set for MP Hot Rod had raised treads for the tires. I would've been blown away if they did raised squares for Skylynx, though – I don't even know how you'd pull that off with reflective stickers. Stamp the pattern into the foil from behind and then fill it in with some kind of spongy substance before adding the adhesive background – definitely possible but it'd be a lot of trouble to go to. Now what I'm trying to determine is how well the grid pattern lines up with the pattern on Inventa. If it's exactly the same, you could just rub the stickers down really hard to make the recessed grid show through. Also is that an actual gold rubsign for his forehead or just a sticker that looks like one. I know they do rubsigns (I've gotten them before and they're ok'ish – not as good as the original G1 versions) but I'm curious if that's actually one of them. If it's real, that would be an awesome touch to put on Inventa, but if it's fake, I'd rather not.